In the course of our lives, there might be donations, money, objects, merchandise, or basically anything that is/are due to us that we have not received due to some reason or cause. When this happens, it is not wise to simply sit and accept the fact of our non-receipt. 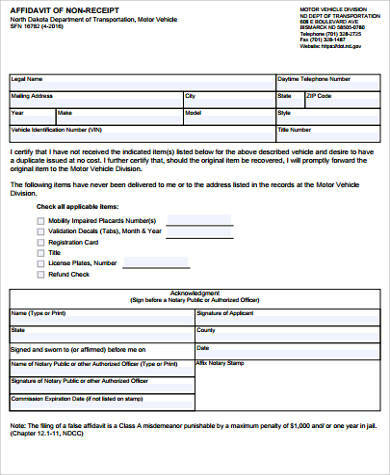 In fact, there is an appropriate and formal remedy for this and that is the sending of a non-receipt form to the proper and relevant individuals or authorities. 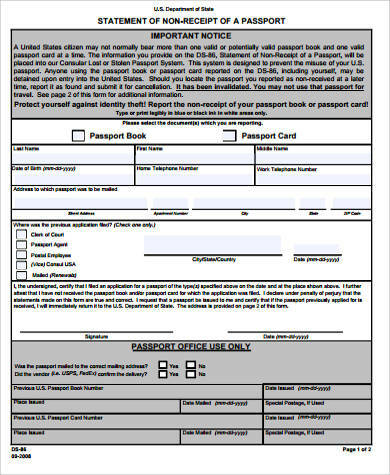 If you are currently thinking of ways to prepare your non-receipt form or document, feel free to download our Non-Receipt Samples on this page. Scroll down below to view our templates! 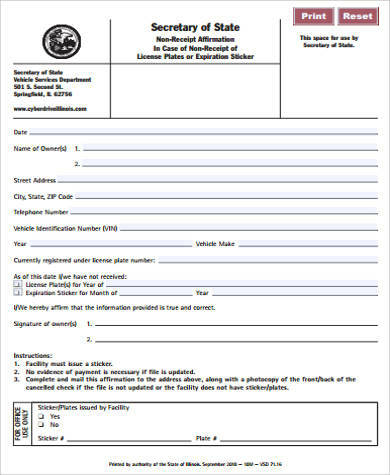 A non-receipt of merchandise form is the document that is sent by customers or clients who have not received the items that they have purchased on the date when such items are to be delivered. In some businesses, a sales contract arises even without the help of personal interaction between the supplier and the buyer. Whatever the method of such a sale, the buyers usually send their payments through bank or any non-personal delivery of money. Afterward, the seller is legally obligated to make good with his/her end of the bargain, which is to deliver the purchased merchandise on time. When the buyer has not received the merchandise that he/she has purchased, that is when he/she can resort to the sending of a non-receipt of merchandise form. In this form, the buyer would input the details of the sales transaction such as the date he/she has completed his/her payment, the name or description of the merchandise purchased, the quantity of the merchandise, and the date when the supplier has agreed to delivery the goods. Afterward, the buyer may include a statement demanding that his/her goods or merchandise be delivered. 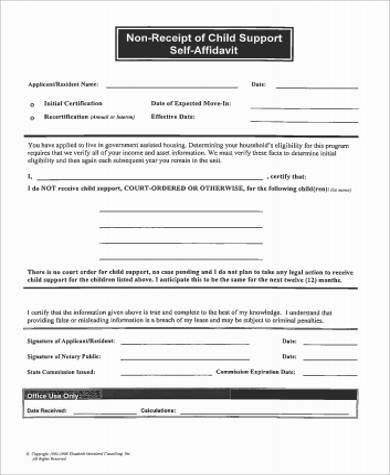 At the end of the document, the buyer would affix his/her signature above his/her complete name. Speaking of sales and transactions, you might find our collection of Receipt Samples in Word useful if you are handling a business. 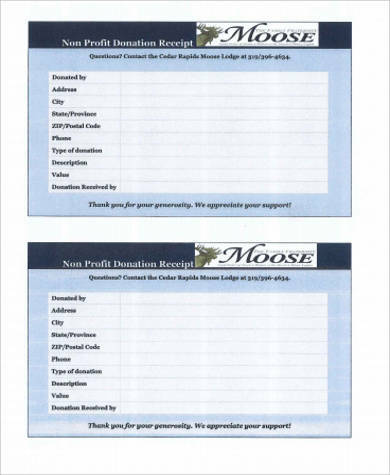 On the other hand, if you are a receiver or a benefactor of a donation, you can acknowledge the generosity of your donors by sending them a donation receipt. 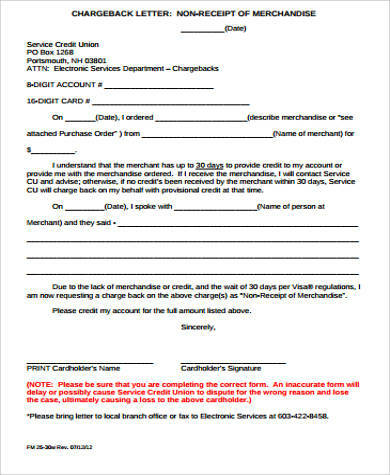 Check out our collection of Donation Receipt Samples by clicking on the link provided. Divorce and marriage separation usually results to the child or children suffering from lack of support, be it emotional or financial, from both or either parents. That is why, most state laws are created in order to ensure that the children of divorced or separated couples would still be able to eat and have shelter enough for him/her to survive and be safe by obligating a parent to support his/her children financially. After a formal adjudication in court, one or both parents would be legally mandated by the judge to provide a particular amount of money for their child or children at a certain time of the month or year, depending on the court’s adjudication. 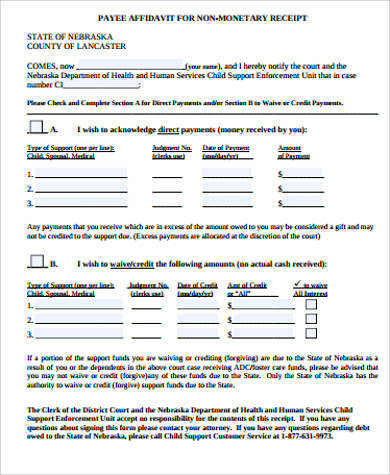 That is why, when the guardian of the child or children has not received the support due to the child on the time that it is expected, he/she can remedy this situation by sending a non-receipt of support to the court or to the parent who has failed to provide the child support. 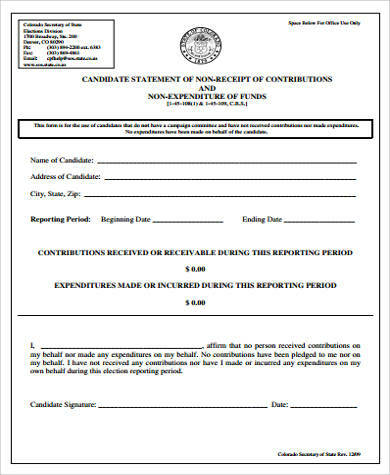 To know more about the non-receipt of support document, download our templates on this page. 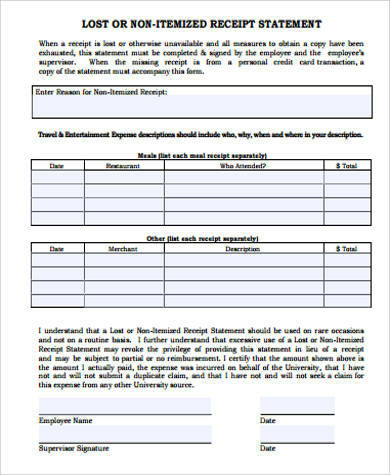 You can also check out our collection of Rent Receipt Samples. You can access these templates by clicking on the link provided.